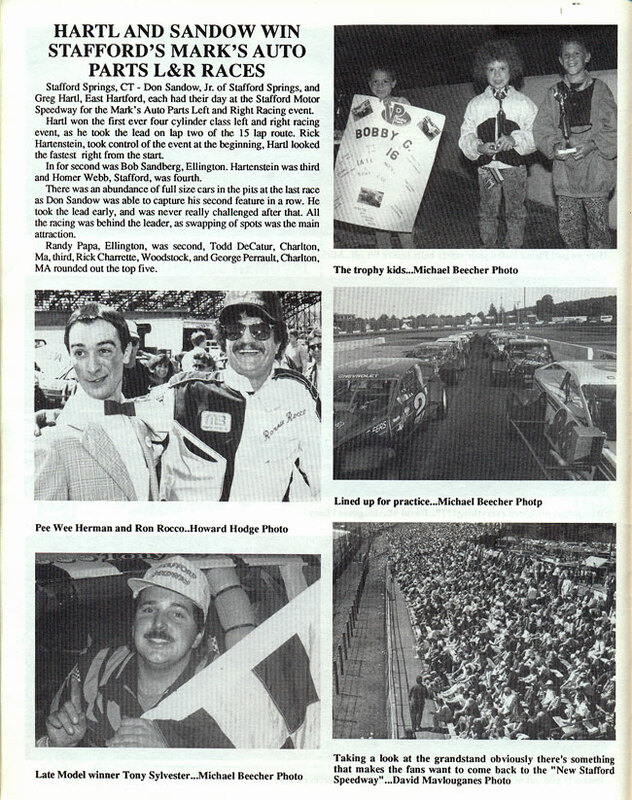 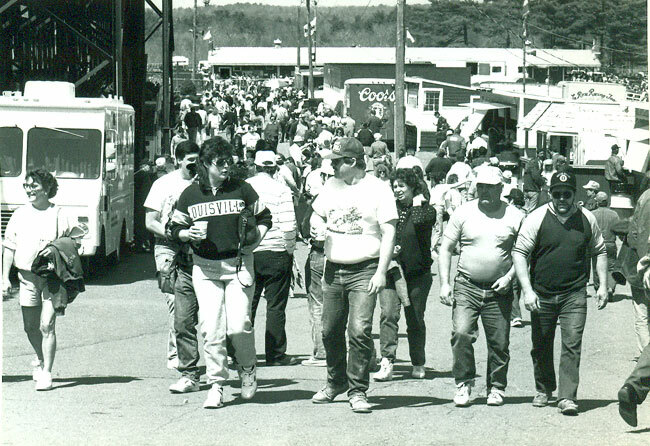 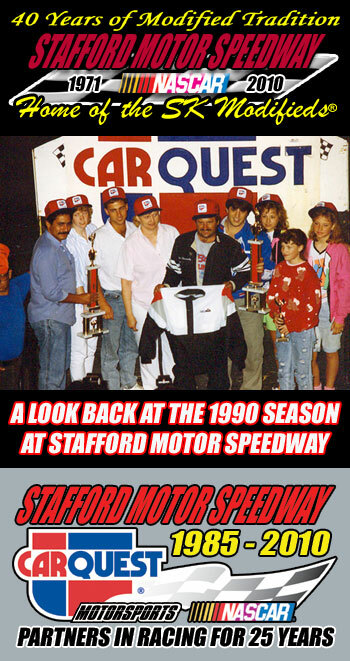 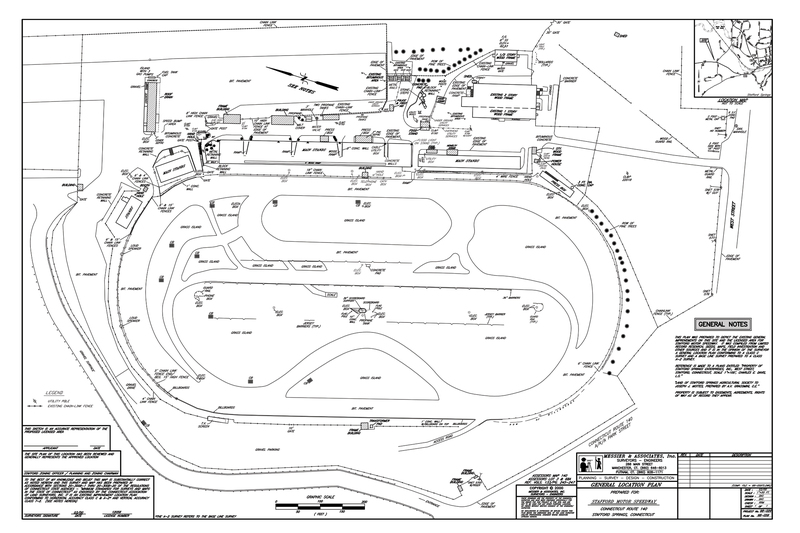 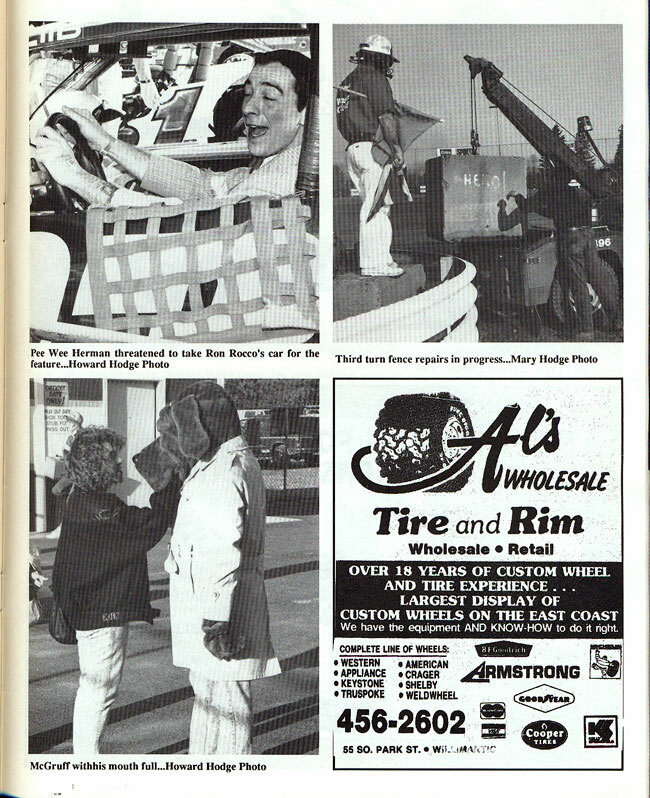 1990 was the sixth season of the Stafford Motor Speedway / CARQUEST Auto Parts relationship. 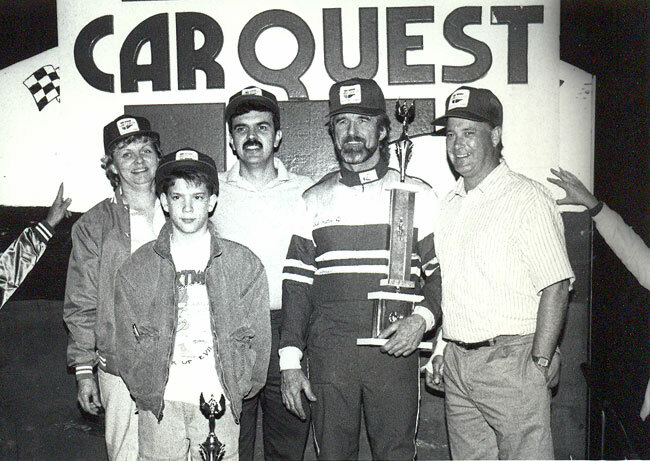 CARQUEST Auto Parts was the title sponsor of the CARQUEST 125 Whelen Modified Tour event for the second consecutive season, and Mike Stefanik was the winner of that race for the second consecutive season. 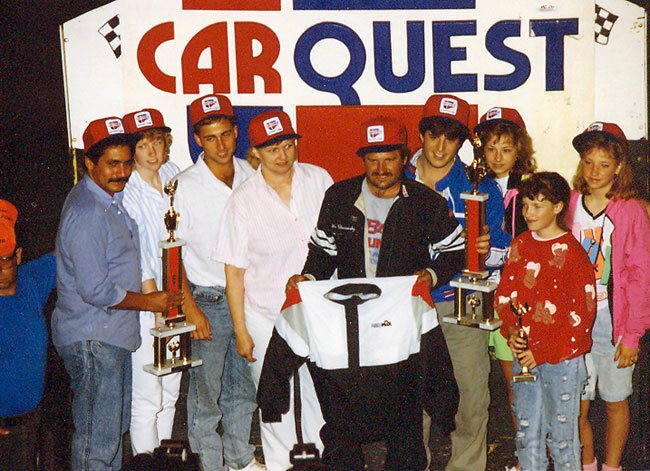 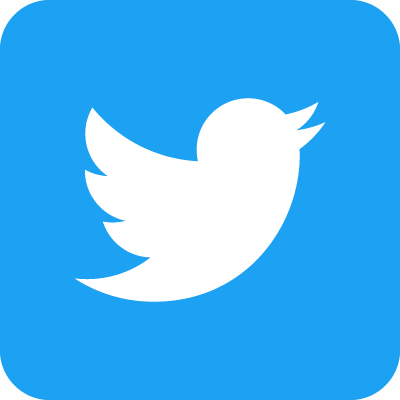 In addition to winning the CARQUEST 125, Stefanik was also the winner of the Spring Sizzler, and the Fall Final, while Jeff Fuller was the winner of the Inaugural TSI Harley-Davidson 125. 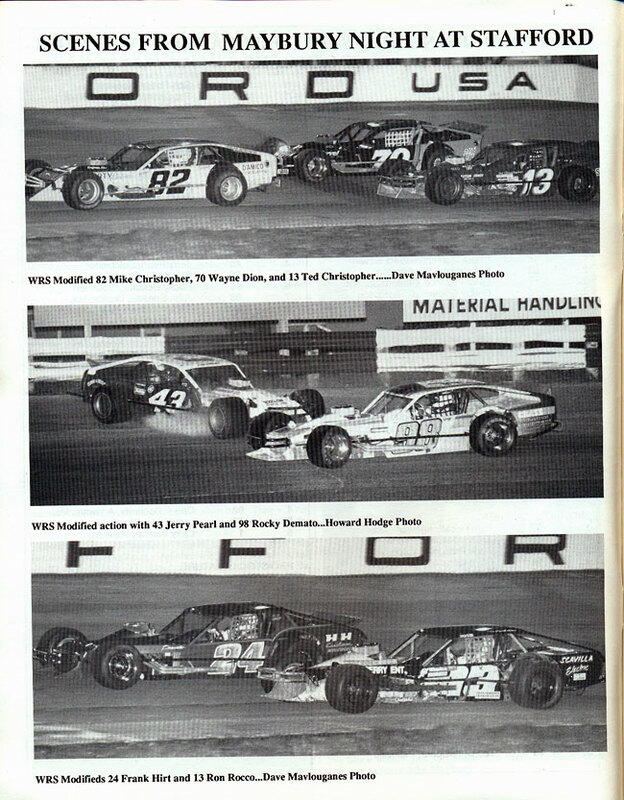 The SK Modifieds® entered their ninth season of competition with Mike Christopher taking down his second consecutive Stafford track championship. 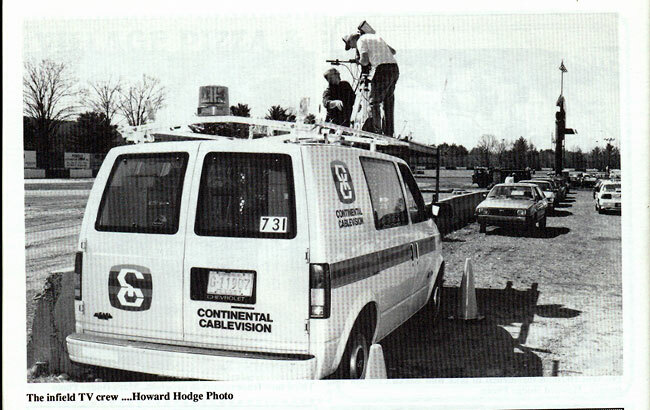 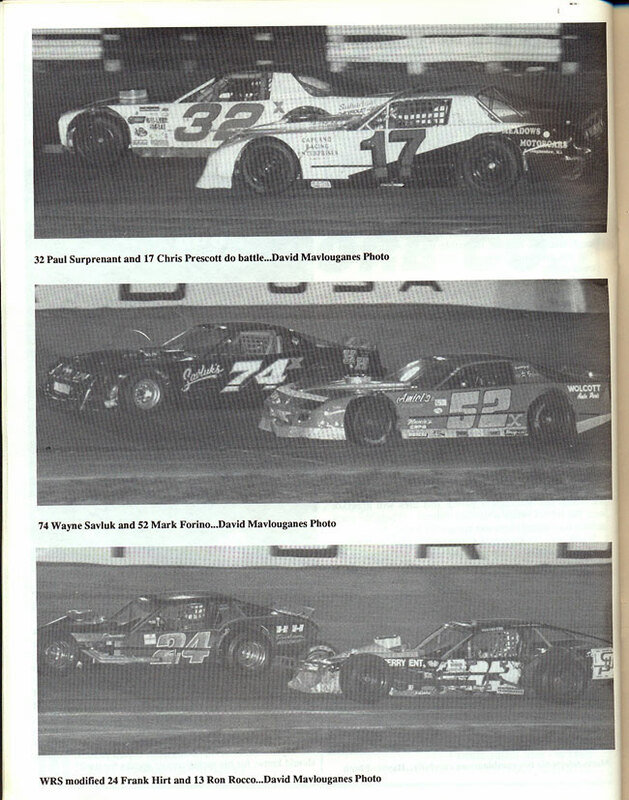 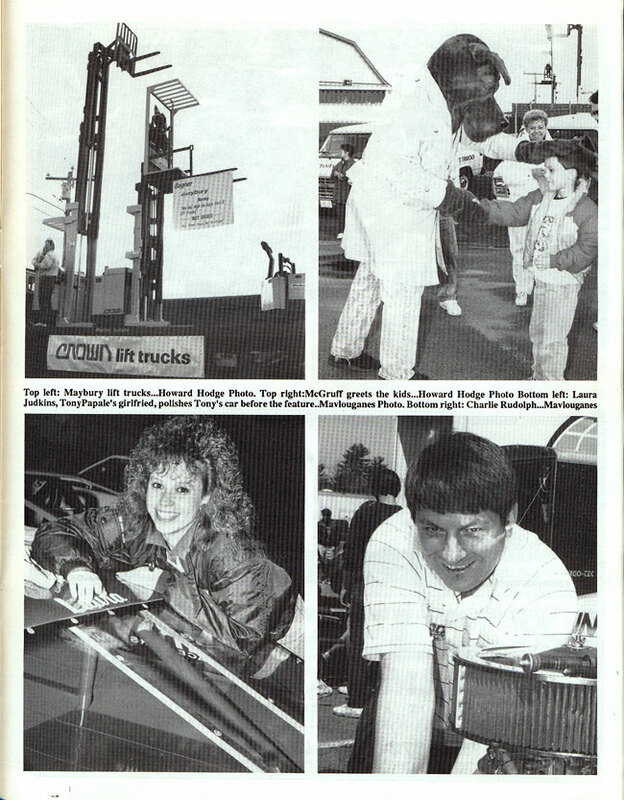 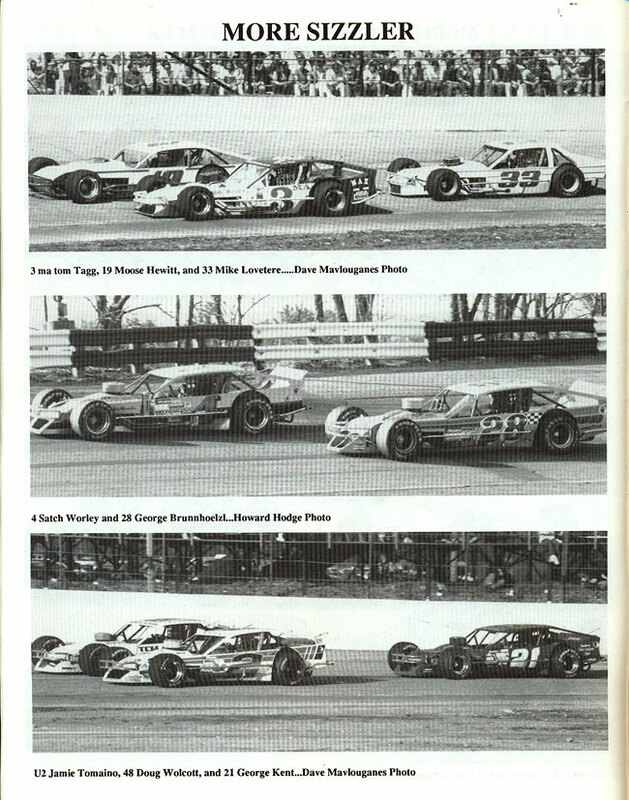 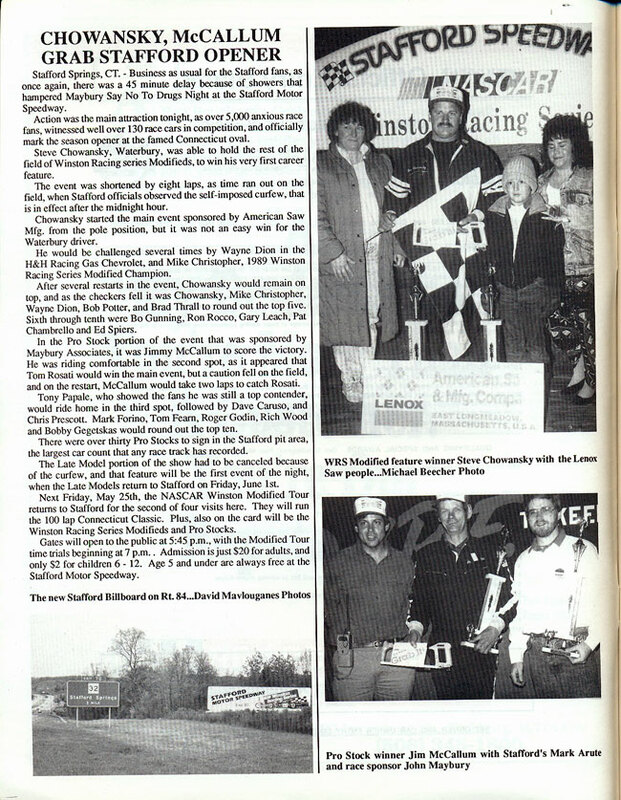 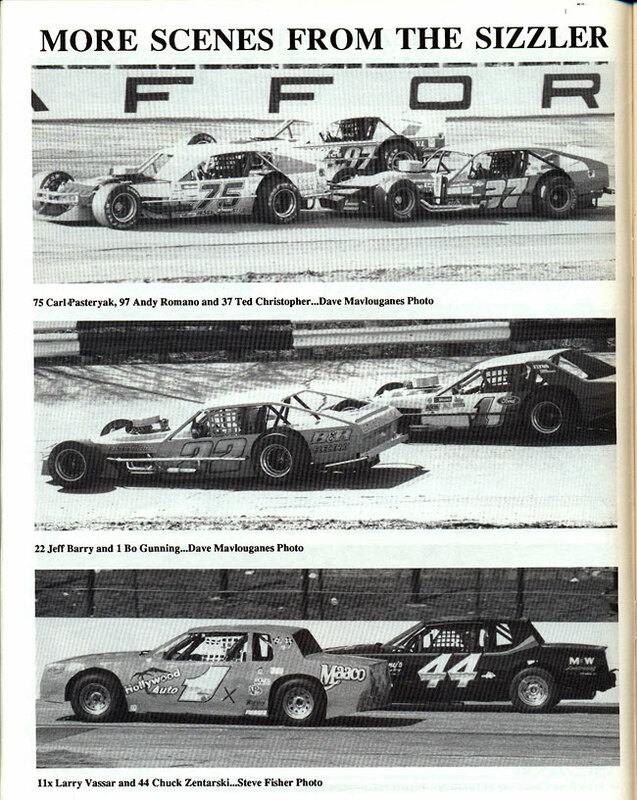 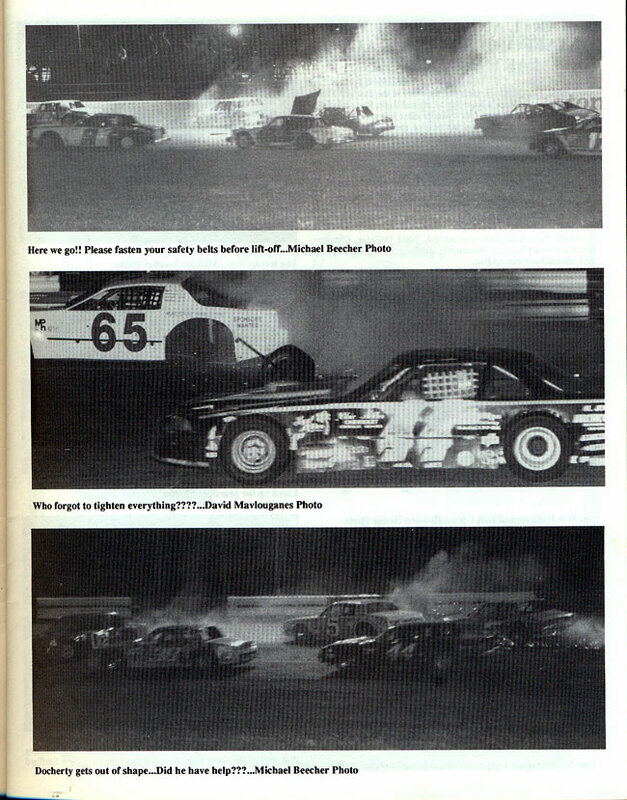 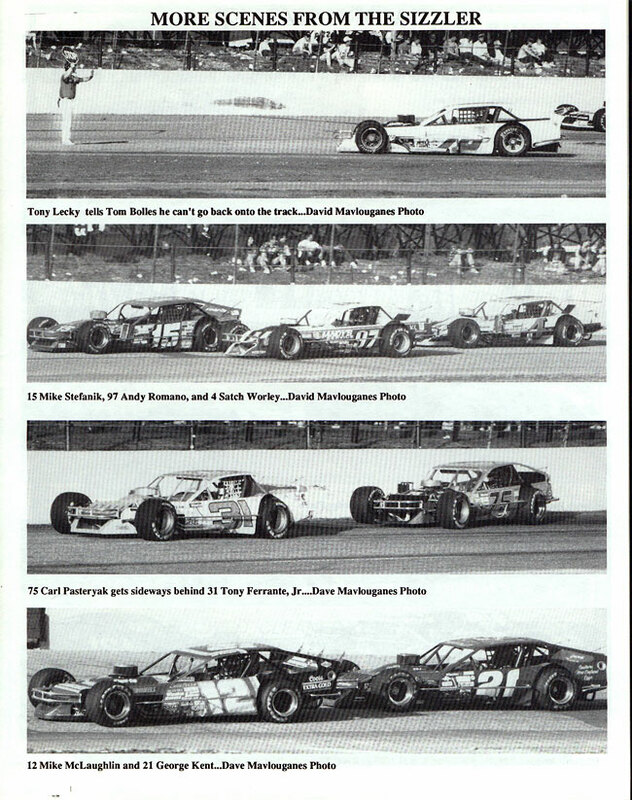 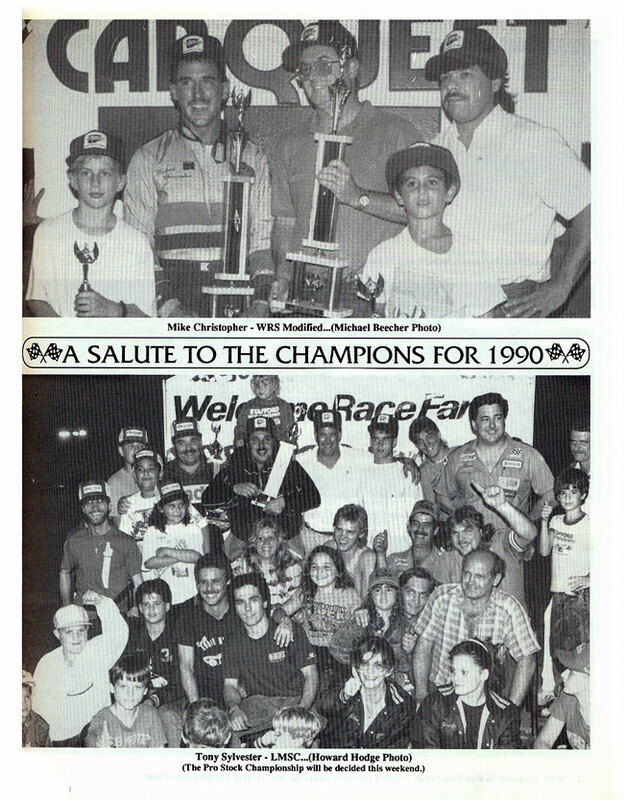 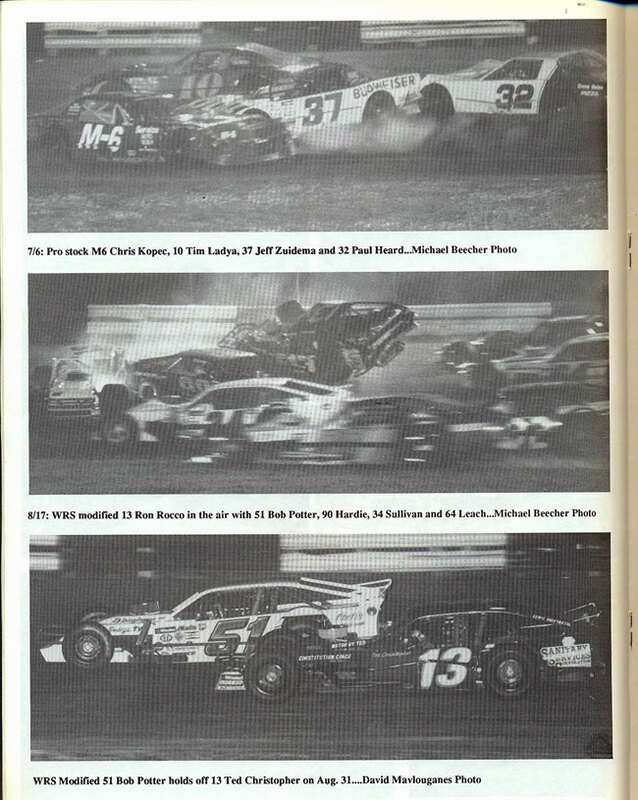 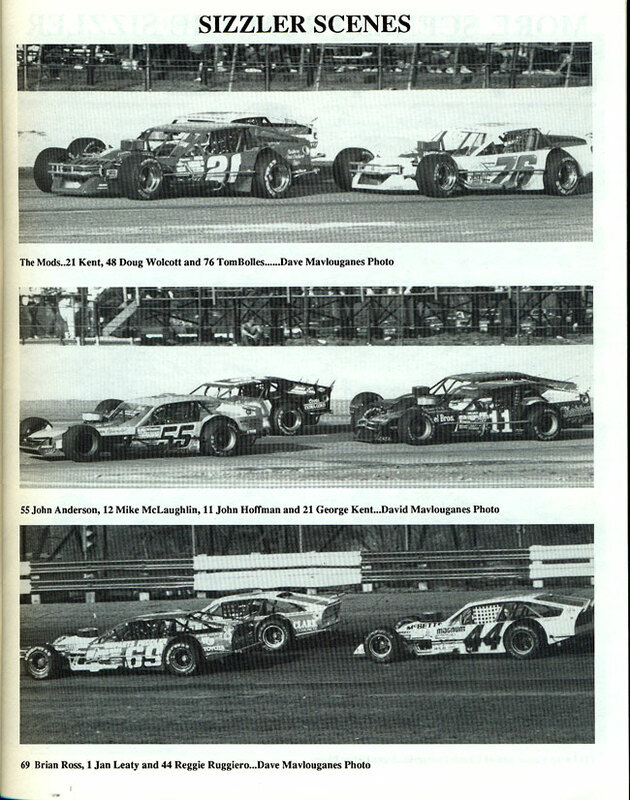 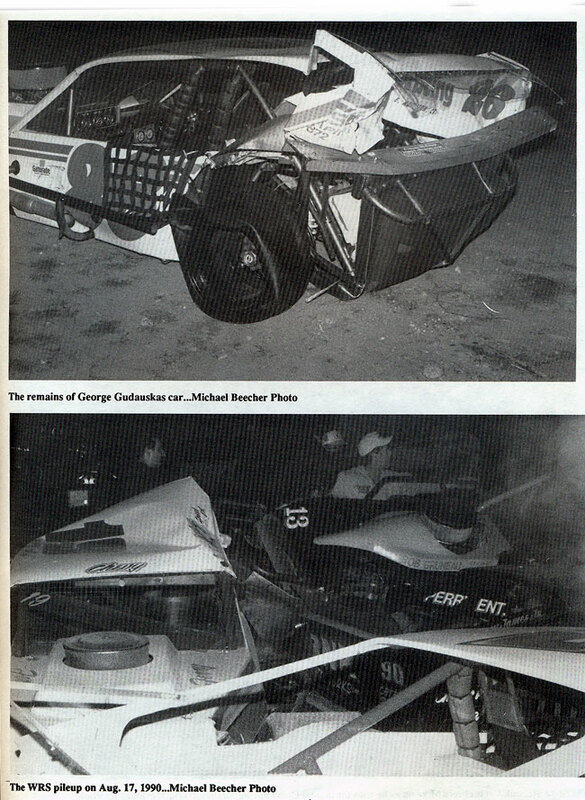 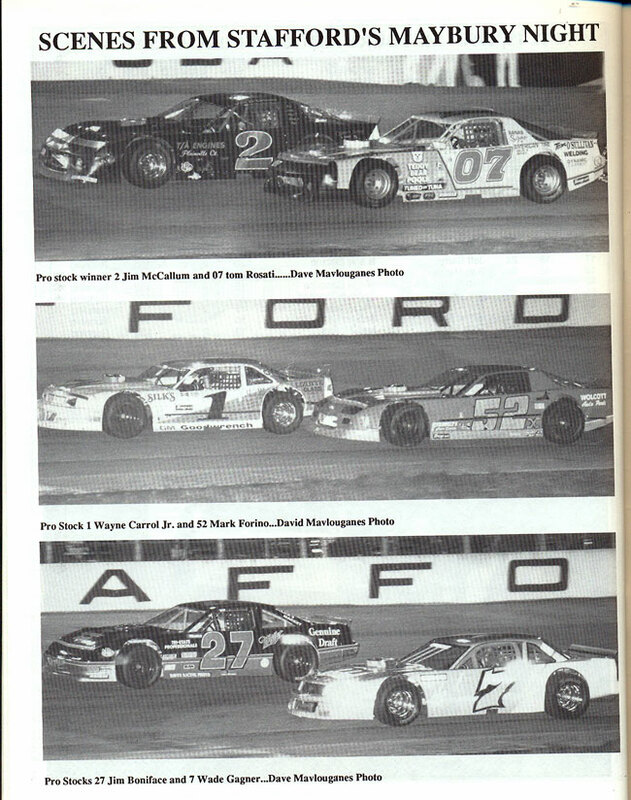 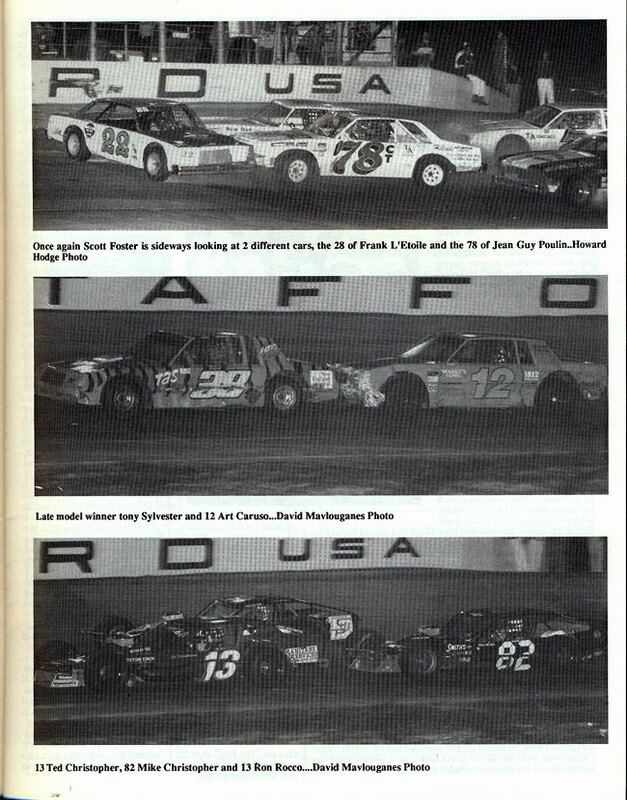 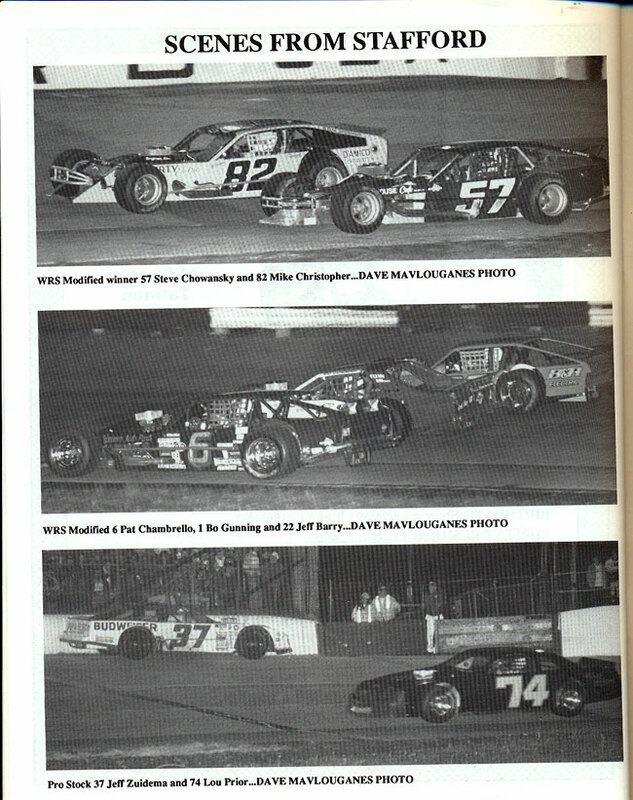 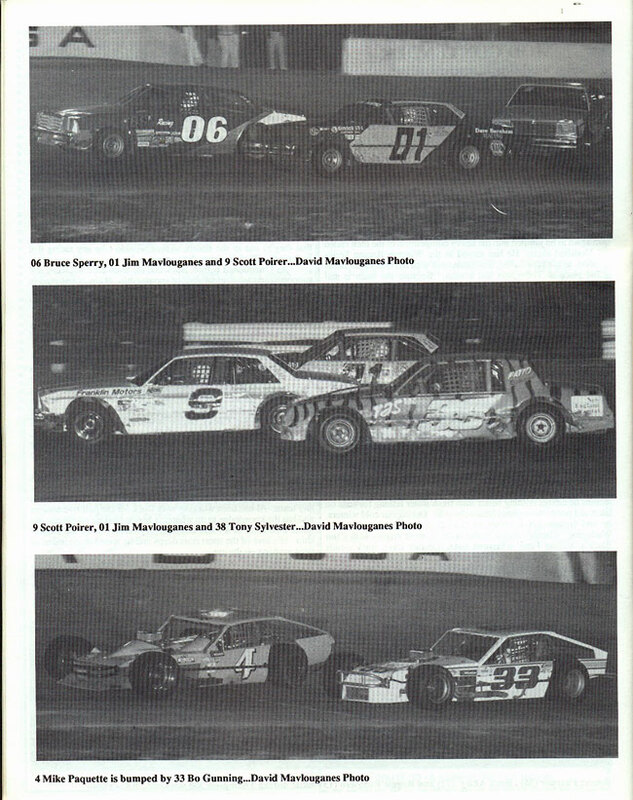 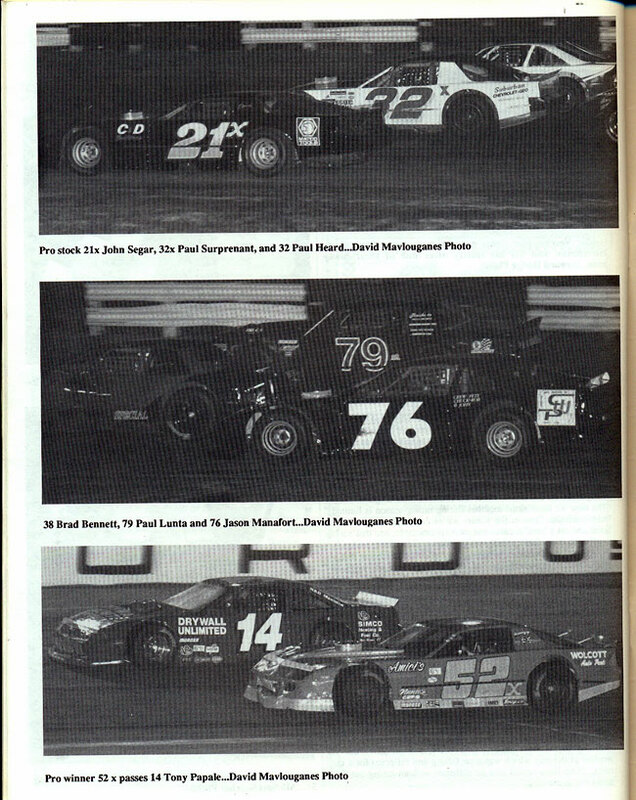 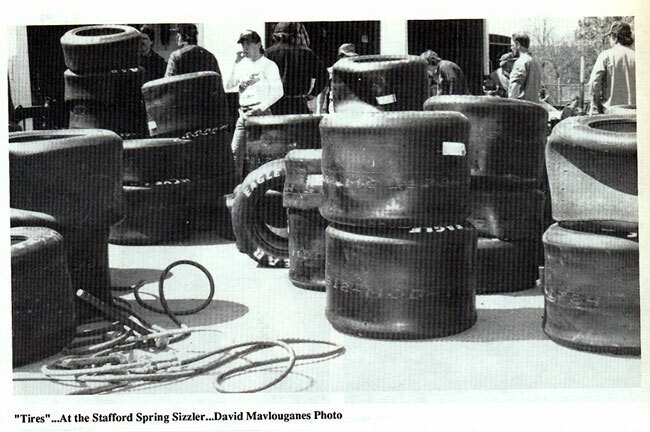 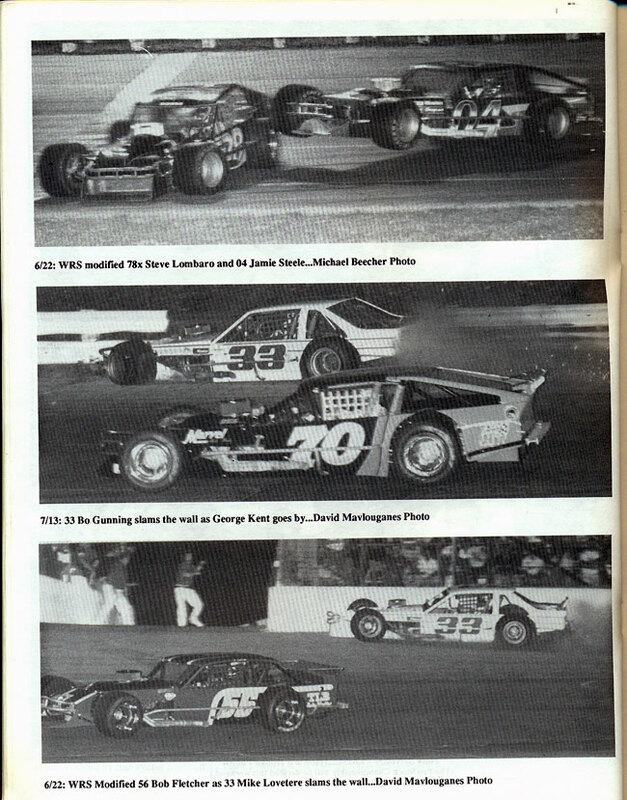 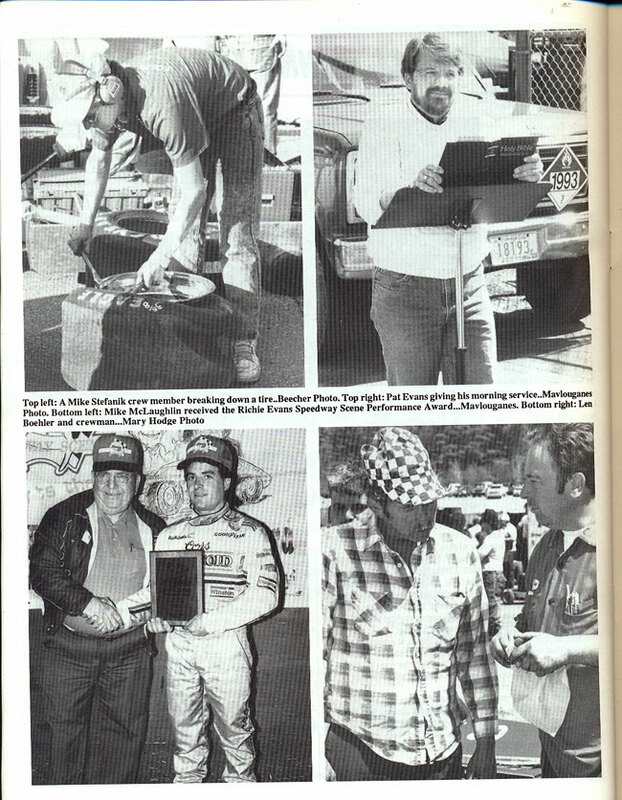 The 1990 season was the fourth season of Late Model competition at Stafford and for the first time the track champion was not Phil Rondeau. 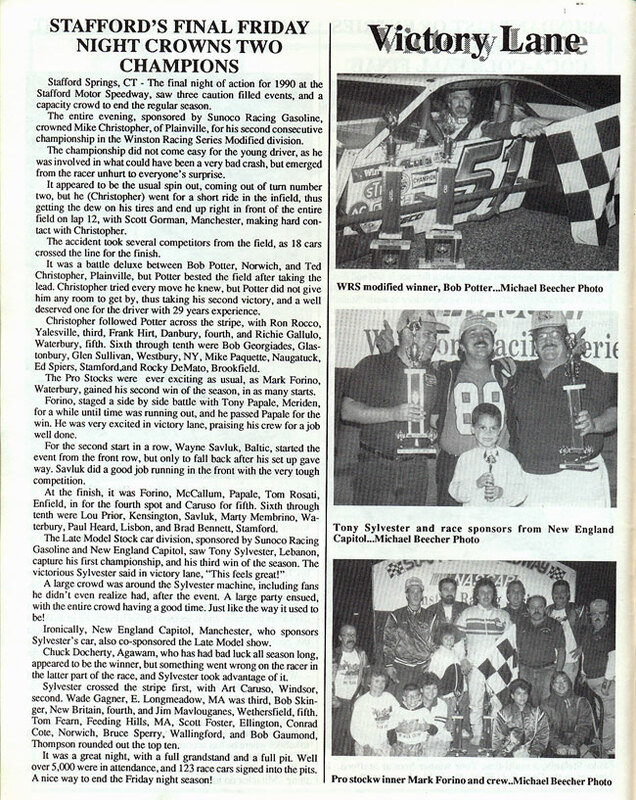 Tony Sylvester ended Rondeau’s run of three consecutive track championships with a dominant season that saw him score a division leading 4 victories. 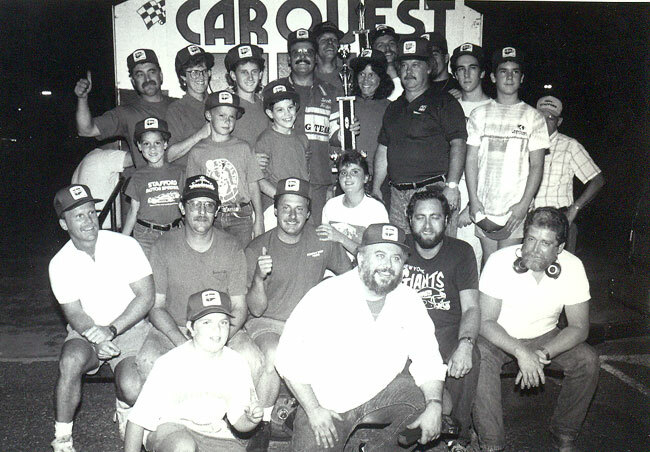 The ProStocks entered their first full season of competition at Stafford Motor Speedway, with Dave Caruso taking the track championship.